Star Wars Troopers composite image. Hi there…ok I’m a star wars fan not a fanatic but properly seen the first trilogy a dozen times each and for me that’s a record. 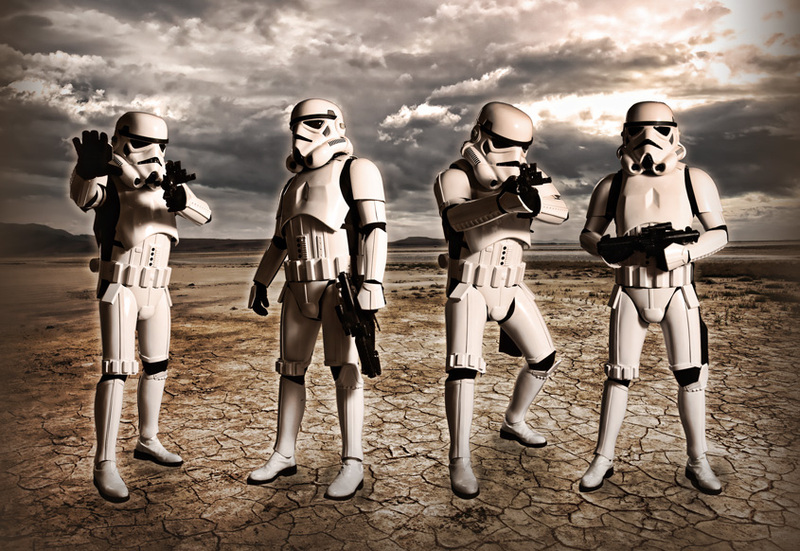 I thought I take these separate images of the stormtroopers and add then together with a background similar to a desert…actually I think it is a desert my bad sorry. I love the characters on the movie and how it properly effected my life with the fascination of space and creativity. The image took me nearly 3 hours to complete not my best work of course because of the lighting but to me its kinda cool. I was thinking of getting rid of the sky and put a galaxy of planets up there but decided that it make the image too busy and I wanted the focus to be on the troopers. Well I hope you like it and comments are welcome good or bad.